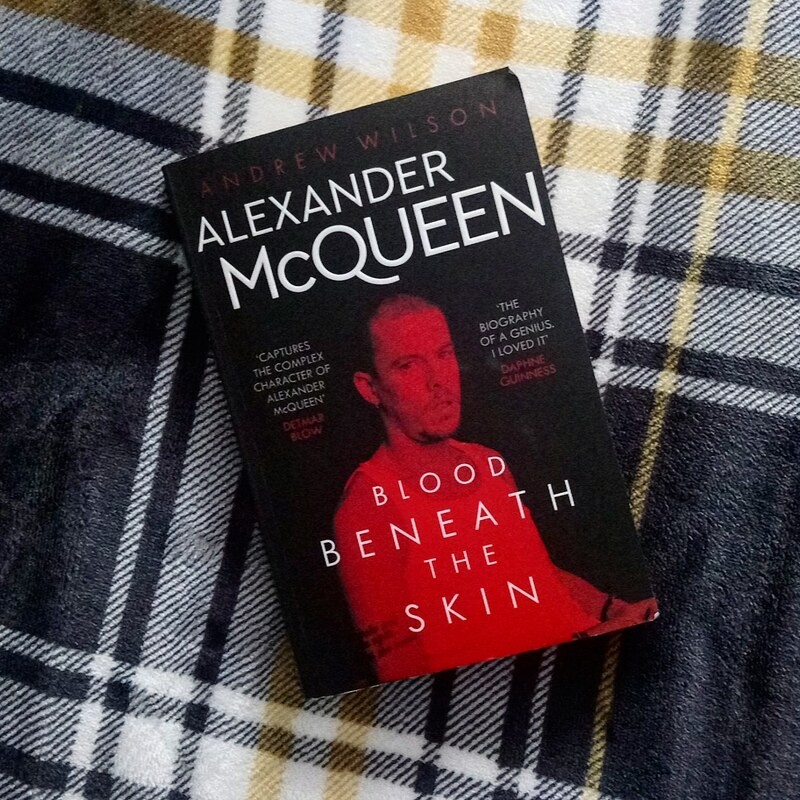 Still keeping up with my "1 book a month goal" April's book was a little something different for me because it was a Biography on the late (great) Alexander McQueen by Andrew Wilson. Fun fact about me is that Alexander McQueen is my favourite designer, I've never really known why but I have always loved the designs and the outrageous fashion shows. I spotted Blood Beneath The Skin on Amazon and realise that whilst I love the McQueen brand I actually knew very little about the man behind it other than that he killed himself about 8 years ago so I had to buy it. This biography is beautifully done because it contains quotes and memories from friends and family which help to tell Lee Alexander McQueen's story from trusted people in his life. From the book you get a really detailed understanding McQueen's personality, he was wild, he was passionate, he was controversial and yet he was very vulnerable. There are a lot of things that can be said about his fashion shows and he in his time received a huge amount of criticism for some of the visual effects of the shows which must have been so frustrating because some people just didn't see what he was trying to say. I have always loved McQueen because the fashion was hard, it was edgy and it was a work of art to some people. The man knew how to tailor suits perfectly and gave the womanly form a bit of structure and strength that most designers just didn't do! I remember ages ago i read a quote that suggested McQueen wanted people to be scared of the woman he dressed, he wanted them to be feared and not feeble and dainty and that really resonated with me, he saw women as survivors because he witnessed his own sister become a victim of domestic abuse. McQueen was obsessed with light and dark, life and death and reading this book tries to encourage the reader to see things from another perspective. 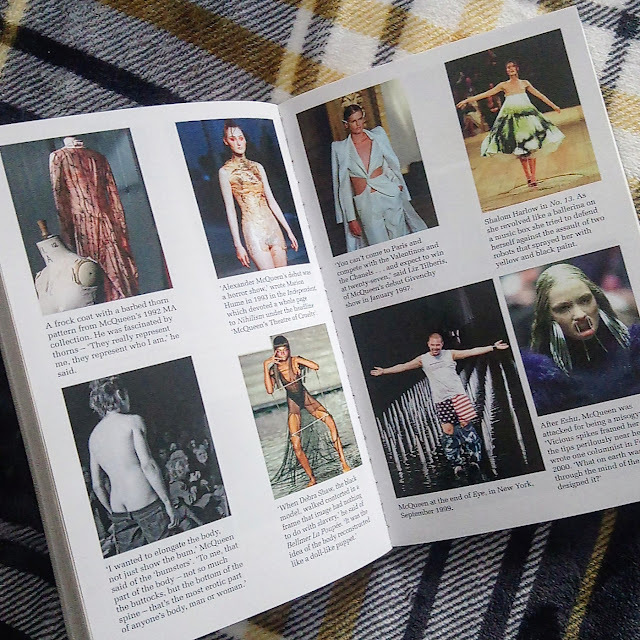 If you aren't into fashion then obviously this book isn't gonna be for you, but if you like Alexander McQueen or are interested in luxury fashion then seriously give this book ago!